My sister Deb, and her husband Dan have been married since April 1990. In the past 25 years of marriage, they've endured the ups and downs of life together. The loss of a parent, loss of grandparents, health crises, 3 different houses, career changes, and raising 4 amazing kids. They were high school sweethearts and, they are still going strong. Their lives are a testament to hard-work, sacrifice and putting family first. These are values that they've passed on to their kids. 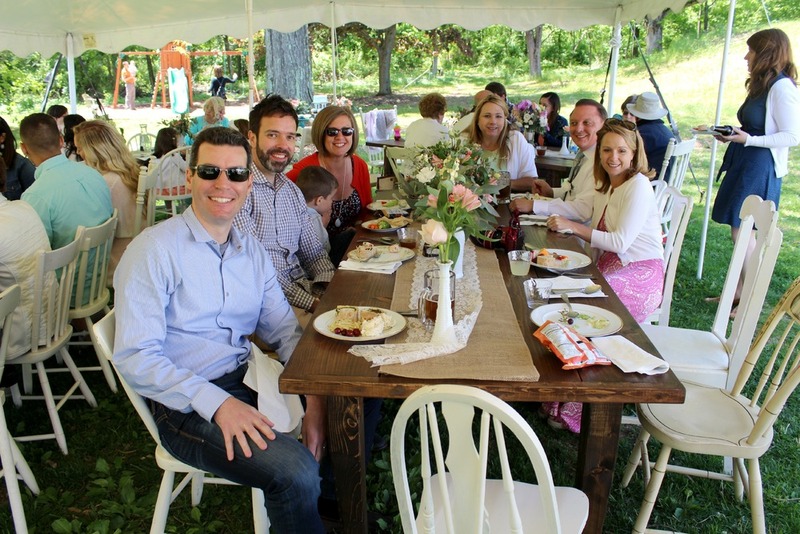 It was a joy to celebrate their anniversary with them surrounded by their family and friends. My husband and I hosted the event at our home. 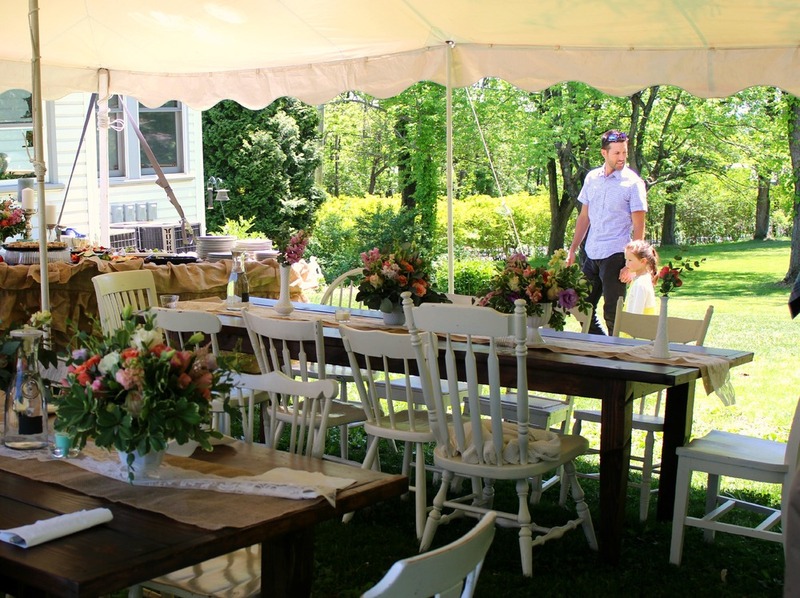 Fox and Finch provided farmhouse tables, chairs, and the antique architectural arbor. 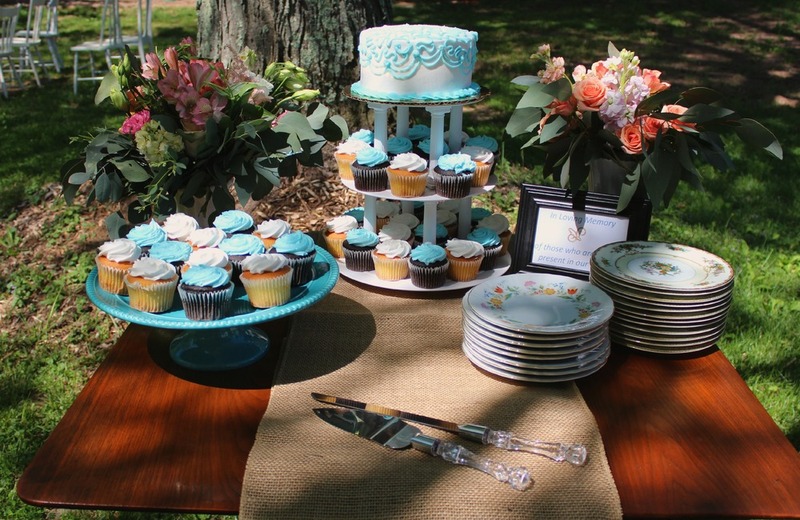 Deb specifically requested that the dessert table be an antique door propped up on two of our whiskey barrels. We rented the tent from Action Party Rentals. It was a sad day when the tent came down, every back yard should have a tent. Deb saw a bouquet by Allium Design on our Spring Wedding Shoot blog and asked if it could be recreated. I called Sarah from Allium and she said yes. Sarah also designed the table arrangements. They were simple, colorful blooms in milk glass vases. Deb wanted to incorporate a lovely card sent by our Aunt and Uncle from Boston. Like most modern, American families, ours is scattered across the US. It's a rare opportunity for us to all get together. Deb also had friends come from North Carolina to share in the fun. Shannon Cotner, a graphic designer and friend of Deb's, designed the beer labels. Dan is a home brewer and made an anniversary ale to share with guests. 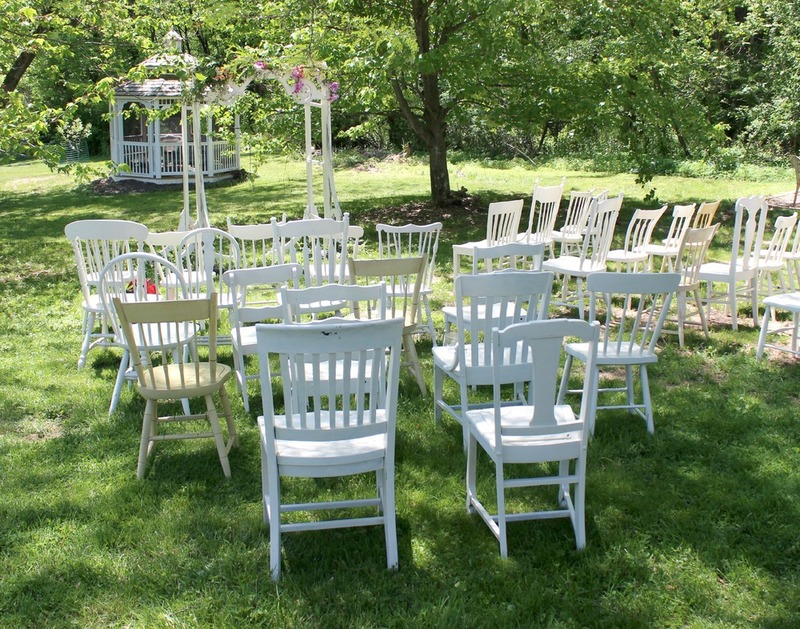 The brew was made with one hop for each year of their wedded bliss. It was so nice to relax on a Saturday and enjoy one another's company. Many blessings on the next 25 years guys! Photo credit goes to my husband, Adam except that last photo, which Shannon took of her handiwork on Deb and Dan's car.